There are no large coronal holes on the Earth side of the sun. Credit: SDO/AIA. Listen to radar echoes from satellites and meteors, live on listener-supported Space Weather Radio. MAGNETIC QUIET: The solar wind blowing around Earth is thin and steady, which means it is doing little to rattle our planet's magnetic field. Geomagnetic storms are unlikely during the next 24 hours. Because the sunspot is still near the sun's eastern horizon, foreshortening prevents a clear view of its core magnetic structure. The events of Sept. 23rd, however, suggest that this could be a potent active region. 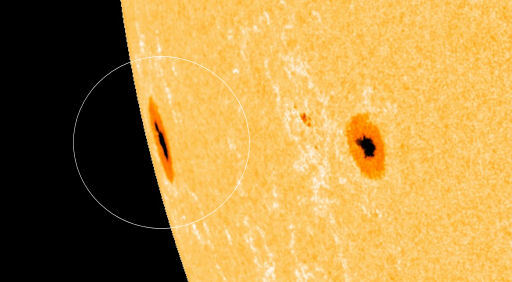 Stay tuned for updates as the sunspot turns toward Earth. Solar flare alerts: text, voice. 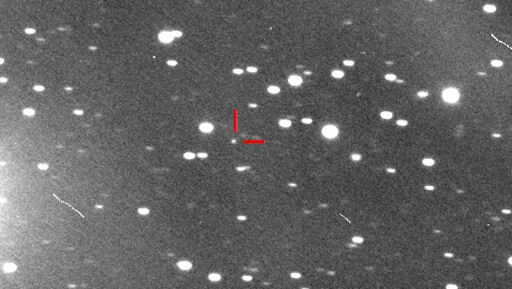 On September 26, 2012 there were 1332 potentially hazardous asteroids.